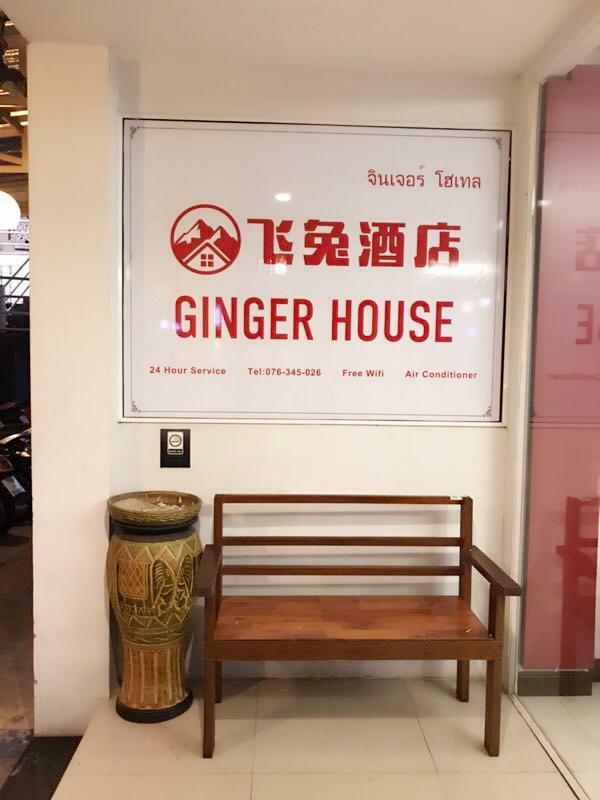 Heeft u een vraag voor Hotel Ginger House? Hotel Ginger House in Patong, Phuket is een populaire keuze onder reizigers. Op slechts 40.3 km afstand, kan deze 3-sterren accommodatie eenvoudig vanaf het vliegveld worden bereikt. Dankzij de praktische ligging, biedt de accommodatie eenvoudig toegang tot alle belangrijke trekpleisters van de stad. Profiteer van de ongeëvenaarde services en voorzieningen bij deze accommodatie in Phuket. Om gasten een maximaal comfort te garanderen biedt de accommodatie gratis wi-fi in alle kamers, supermarkt, dagelijkse schoonmaak, openhaard, post service. Ervaar kamerfaciliteiten van hoge kwaliteit, inclusief plasma tv, extra toilet, draadloos internet (gratis), rookvrije kamers, airconditioning, om na een lange dag tot rust te komen. De recreatieve faciliteiten van de accommodatie, inclusief wellnessfaciliteiten, zijn ontworpen voor maximale ontspanning en onthaasting. Wat de reden van uw bezoek ook is, Hotel Ginger House is een uitstekende keuze voor uw verblijf in Phuket. Its time for the property to reshape it up. thank you so much , we hope see you again . Whereas the room was adequate, the staff pleasant and the location ok, the wifi did not work at any time during my stay. This caused me significant inconvenience. Also the shower didn't work on the first morning. New Chinese owner. No more free bottled water and coffee in rooms. Water heater turned off, cold showers only. Ran out of water for several hours. WFI seldom works. Keys must left at front desk in plain view to anyone, even those walking by hotel. Desk sometimes unattended for long periods, anyone could take your room key. Room safe did not work for 4 days, they did not fix or replace. Finally I was able to move to another room. Original cleaning girls reduced from 3 to 2 but they still do a good job, please leave them a tip. Previous Italian owner made this hotel great. New Chinese owner. No more free bottled water or coffee in rooms. No hot water for shower. 1st room safe did not work, never fixed or replaced, after 4 days I moved to another room. They request you leave your room key at the front desk. They put them in plain site on the counter. Often the desk is un-attended, anyone passing by can grab them. Previous owner (Fabio) had same policy BUT kept the keys hidden in a drawer and the desk was always attended. Free WIFI seldem works. Ran out of water for 3 hours. I payed the equivalent of about 600 Baht a night and it was worth the money. I was on the top floor in room 502. The place is a bit hard to find as it is not directly on the street, it is behind a building. This also means the view (room 502) is just of a building. But being behind a building and not directly on the street means it is insulated from street noise and is quiet. Very close to Otop complex which has some markets, some food, and many bars. Really nice guy from Myanmar working at front desk. This hotel have great value for the location if you don't mind the current dayshift frontdesk lady that struggles to speak or understand English. Otherwise the hotel was just fine. Wifi works great. Hot showers. Cable tv. Soft beds. Cool air conditioning. Recommended. This is my second stay at HGH & very happy again- Christmas to NY 2015. Good clean, comfy room with average facilities. The staff are good( it's recently changed hands), English is fair but that's OK. It's set back from the main road so isn't straight away easy to find. The little Frog House cafe next door is good for close by eats, so too is the Italian Restaurant. I'd stay again. The only good thing for this hotel is location. It's close to the shopping mall in Patong. Staff was unfriendly, I asked for toilet paper, but she told me she doesn't have it, and have to wait for housekeeping tomorrow morning. Room looks clean, but it smells. Had mosquito inside the room. overall pleasant, good value of money. pros: new hotel, clean, room is big, basic but adequate, 10 minutes walking to happening places like jungceylon, bangla street, many restaurants and convenient shops near by. cons: it is hidden in a lane, not prominent from main street, staff can hardly converse in english,. I stayed here for one night, it was very clean, very cheap, ideal for a one night stopover. Only issue I had was when I needed some information from the receptionist she seemed a bit rude. But I can put up with that for the price! Location was great, staff were friendly and funny, and the rooms were very simple and very clean. I ended up staying there three different times while in Phuket. Also amazingly quiet even though you are in the middle of it all! New owners, water ran out every second day, no more daily bottled water, wifi not reliable, staff english not the best, didn't know how to reset the safe for me, A/C didn't work, had to change room. Nothing like the well maintained and well run hotel it used to be. sorry , high season , waer provide is not enough . next time , please tell receiption ,we will buy water.